WASHINGTON—In preparation for the 41st president’s funeral later this week, George H.W. 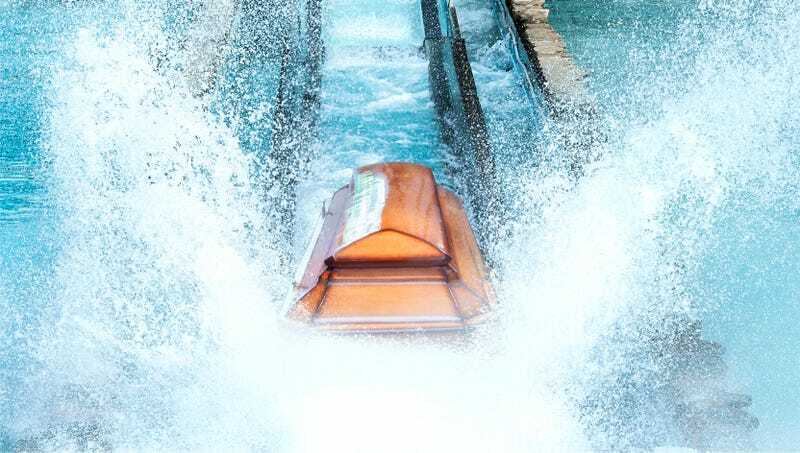 Bush’s casket completed its thrilling log flume journey to the U.S. capitol, sources confirmed Monday. The former president’s casket, which was launched from a shallow wading pool in Houston, TX, reportedly traveled 1,400 twisting, turning miles through the Appalachian wilderness before taking a final 50-foot plunge into a briar patch inside the Capitol Rotunda. Sources confirmed that hundreds of visitors stood in the splash zone to pay their respects to former President Bush, their faces and clothes streaked with water as a band of animatronic woodland characters played Taps nearby. Historians noted that The Commander In Chief Log Ride infrastructure was constructed under Roosevelt’s New Deal as a way to transport caskets in a wet ’n’ wild manner befitting the office of the president.